Software development is a unique and ever-evolving industry. In recent years, we have noticed an increase in the number of online entrepreneurs entering the app space. As the technical evolution of the industry continues to take it in a more accessible direction, and consumer demand for useful and disruptive software increases, the market is getting more lucrative for innovative, independent developers. Given the growing accessibility of the software space and ever-diminishing barriers to entry, the rise in entrepreneurs with little to no experience in the industry who have begun building apps has taken off in recent years. Just like any online business, apps–of all kinds–require special considerations when it comes time to sell. As the market-leading advisor for online business sales, the team at FE International answers questions every day about the best practices of selling an app business. Therefore, we have put together this guide to valuing an app business. 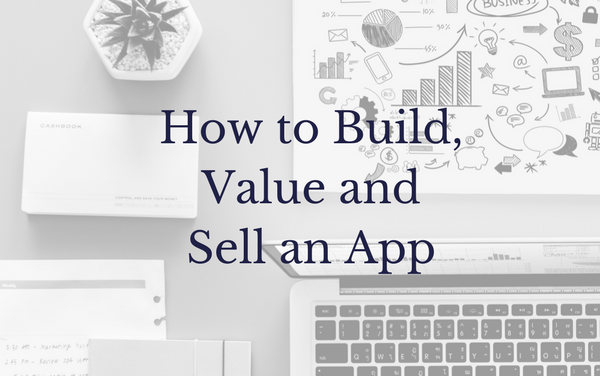 This involves two main channels of understanding, which we will cover in this post: what goes into building and running an app, and what factors are taken into consideration when it comes time to value the app for sale. The two might overlap more than you expect! What is an app and how does it make money? What should your considerations be as you think about building a new product? What does the business model of an application look like? How can you build an app business with the highest possible value? How can you be sure you are buying a profitable app? Where and how should you sell the app once the time comes to exit the business? How much is your app worth? This is more specific than our previous pieces such as how to value an online business. While the term “app” is often associated with mobile applications, we have seen numerous different kinds of monetizable applications be sold, and so want to be sure that we encompass the full spectrum of what an app might be in this article’s discussion. An app is a piece of software whose market purpose is to help a user perform a specific function regardless of the marketplace where it was obtained or the device it is installed upon. Business owners have the opportunity to develop and monetize apps to solve problems big and small. From sophisticated design suites, like Adobe Creative Cloud, to mobile communication tools like WhatsApp, apps increasingly power the engine of technology. Based on businesses we have seen and sold, we have found that apps can be categorized into three main types: marketplace apps, universal apps, and software as a service (SaaS) apps. Marketplace apps are third-party “add-ons” serving a specific function for existing software or platforms geared towards a larger, more complex purpose. Certain software environments attract such a large user-base that extending default functionality has become a business of its own. These apps are typically obtained from proprietary marketplaces or app stores administered by the owners of the parent application. E-commerce platforms like Shopify, Magento and Woocommerce. Browsers like Chrome and Firefox. Financial management platforms like Intuit. Content management systems like WordPress. This broad category refers to any application deployed locally on a laptop, desktop computer or mobile device. Universal apps represent the most traditional commercial model, with users typically using a freemium pricing model where you can use the app for free but pay to upgrade for additional features paying a once-off license fee, allowing them to install the program on their device. Software as a service (SaaS) apps are typically hosted in the cloud and accessed via the user’s web browser or a proprietary client. In many cases, the installation of software onto a local server or the user’s devices isn’t required and neither is the one-off purchase of a license. Customers pay for access to the features of SaaS apps on a recurring basis, usually monthly. While it may seem superfluous to consider a business’ valuation before the product is conceptualized or the development process starts, it is actually one of the best ways to ensure the continued success of the business: Most of the factors that determine a business’ value to a potential future buyer overlap perfectly with those that make a business sustainable and profitable for its founder. Nearly every aspect of a business, from the value the app provides to its customers, through to the marketing activities that grow it and the operational processes that support it, contributes to both its current profitability and how much a buyer is willing to pay for it. Too often entrepreneurs rush into developing a product without having an exact understanding of what they want it to be capable of, how it will serve its target market, and in some cases, the larger operation they are trying to build around it. Let’s take a closer look at each of the app categories, and what it means to create a business from them. The three categories of applications each have various constraints and considerations that make bringing a new product to their respective markets uniquely rewarding and challenging. It pays to delve further into each category of app for the purpose of understanding how to market and run it optimally. These three app types are not the only types of apps, but they are the most common. Let’s take an in-depth look at each of them. Marketplace app developers take advantage of a widely used software platform to offer its large user base an ecosystem of extended features not included in its default functionality. There’s a limit to the number of features a marketplace can conceptualize and develop while maintaining their core product. Further, giving users the option to build on functionalities as needs evolve means more users will be likely to be drawn to the marketplace, as they can personalize their operations by adding apps to the existing framework. To ensure that they stay ahead of their competition and keep their customers happy with new features, they effectively “outsource” extended functionality to smaller, independent developers. Third-party developers, in turn, get access to the extensive user-base of the parent product to build features that extend its core functionality. Here are some examples of successful marketplace apps. GrooveJar is a lead capture plugin for Shopify businesses that prompts visitors to enter their information and subscribe. Adblock allows users of the popular internet browser to block intrusive advertisements and popups that compromise their browsing experience. MageMail enables Magento e-commerce stores to develop automated email marketing campaigns, from abandoned cart notices to promotional sequences, with ease. Yoast walks WordPress publishers through improving their site’s SEO with the aim of increasing traffic and engagement from search engines and social media. When deciding on the product you want to build for a particular marketplace, the key consideration is the niche that it serves. Your product needs to address a specific pain point experienced within the marketplace you’re targeting or create opportunities within potential customers’ business processes. One of the easiest ways to do this is to adopt the old adage of “sticking to what you know.” If you have experience in an industry that is served by a marketplace, you may well have sufficient insight that helps you spot a process or activity ripe for innovation or improvement. For instance, a background in web development or user interface (UI) design will serve you well if you’re interested in building an extension for the Chrome App Store since the majority of Chrome apps focus on enhancing the user’s online experience. If your goal is to take advantage of a particular market or environment that is showing immense growth, but you lack the necessary insight to come up with a killer app, there are ways to build the knowledge you need. While this concept applies to all app types, it is doubly relevant to marketplace apps since they typically have a narrower functional scope than universal or SaaS apps which can address a broader set of commercial needs. For example, Shopify is an e-commerce platform that allows online retailers to easily set up a digital storefront. Apps servicing this market will likely enable or improve upon core processes that support running an e-commerce store. The key question becomes: how does a savvy entrepreneur who has identified a particular environment as an ideal space to develop a new application go about conceptualizing a solid idea that not only delivers added functionality to a target customer, but can also be effectively monetized? The best way to do this is to engage with the greater Shopify community to see what pain-points are most discussed. There are several online communities where specific marketplaces are actively discussed by their users. An excellent resource is Reddit, where the Shopify subreddit contains questions about the capabilities of the platform itself and the apps users have access to. Additionally, Shopify recommends their e-commerce forums as an excellent resource for engaging with users in order to find ideas for apps. It’s important to consider all relevant factors in your product/market fit analysis to gauge the feasibility of the original question and identify whether there is room for a new, improved, or cheaper app to address the pain-point being discussed. Another option when brainstorming ideas for your app is to investigate the marketplace store for which you’re planning on building the app, research the apps that show strong sales figures and think of ways you can deliver similar functionality at a lower cost, better functionality at a similar cost, or ideally, better functionality at a lower cost. As mentioned earlier, software environments with a large user base benefit greatly from innovative extensions being made available to their customers. 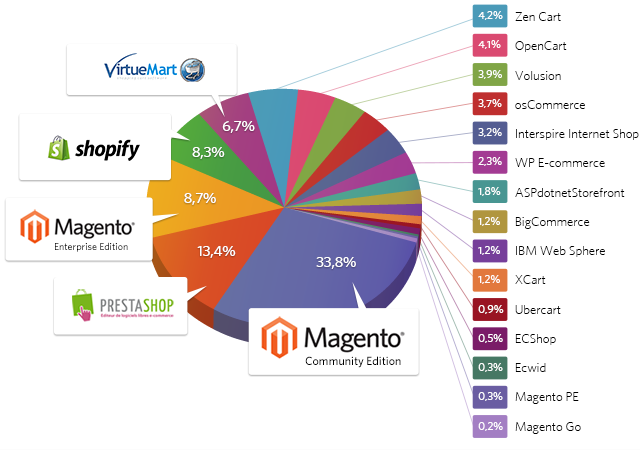 Magento—another e-commerce platform— also has a marketplace offering third-party apps to enhance online retailers’ capabilities. MageMail did a great job of innovating in the Magento marketplace with their triggered email app, due to their identification of a way they could bring an immense amount of value to Magento store owners by enabling them to enact triggered email marketing with low effort. WordPress has evolved into a lucrative marketplace since the content management system (CMS) no longer focuses solely on blogging. With users now using WordPress to display their products and services, hosting podcasts, and even exhibiting artwork, the scope for developing new plugins is wide. Fintech giant Intuit also offers developers the opportunity to build apps that extend their suite of business management products. The company launched their app store in 2013 and strongly encouraged third-party participation from developers to build apps that enable invoicing, expense management, marketing, collaboration, bug tracking, and more. Initially developed as an internal infrastructure solution for Amazon’s burgeoning growth in e-commerce, Amazon Web Services has grown to become by far the largest Infrastructure as a Service (IaaS) provider in the US, with a 33% market share. What began as a side venture for Amazon in 2006 has become a true profit center, with sales of $6.1 billion in Q2, 2018 alone—a 49% increase over Q2, 2017. Increasingly, AWS—with profit margins of 26.9% in contrast with a North American e-commerce profit margin hovering around 5%—is fueling Amazon’s record profits. The ubiquity of AWS as a cloud service provider has created a healthy market for apps that extend the functionality of their IaaS offering. For AWS users, the AWS Marketplace simplifies the purchasing and integration of SaaS apps like Qubole, Sumo Logic, and Cloudyn. Apps in the AWS marketplace feature “1-click deployment” for purchasers whose websites run on AWS. One feature that makes many AWS apps attractive to AWS customers is that they are only billed for usage of the app—either hourly or monthly—and the usage is billed to their existing AWS account. For businesses running many SaaS and other apps in tandem with their websites, this streamlined billing process can be very appealing. Developers seeking to build apps to sell in the AWS marketplace will need to create a custom Amazon Machine Image (AMI). AMIs run within Amazon’s Elastic Compute Cloud (EC2) web service. You can find further technical details on AMIs and EC2 here. Sell publicly available, full-feature production-ready software (not a beta product). Have a defined customer support process and support organization. Provide a means to keep software regularly updated and free of vulnerabilities. Follow best practices and guidelines when marketing your product on AWS Marketplace. Be an AWS customer in good standing and meet the requirements set forth in the terms and conditions for AWS Marketplace sellers. For developers who want to sell their AWS app commercially, they must be permanent residents of the US or EU, or have a business entity organized or incorporated in either territory. Tax and bank account information is also required. While this isn’t an insurmountable obstacle for most developers resident outside the US or EU, it does present an additional hurdle that app developers should be aware of. AWS recently launched a self-service portal for developers to submit their custom AMIs, which can provide detailed feedback on the readiness of the app in less than an hour. Further information on the documentation required to list an app on the AWS marketplace can be found here. Additional technical details can be found here. Usage based on users, data, bandwidth, or hosts. Billing is handled by Amazon Payments, making it easy for Amazon’s over 300 million customers to pay for your AWS-based app. The vast degree of flexibility AWS Marketplace gives developers to set pricing correlates with a concurrent complexity in determining how Amazon charges app owners for sales of their product. It’s not a simple commission-based structure. A detailed explanation of how the different pricing structures for AWS apps work can be found here and here. AWS app owners are paid monthly in USD directly into a US bank account. Currently, a US bank account is required regardless of the payee’s location. The cloud computing market is predicted to grow to $186 billion in 2018, and IaaS providers account for $40.8 billion of that—a one year increase of 35%. This trend is expected to continue with one study predicting that 83% of enterprise workloads will be in the cloud by 2020. As an IaaS market leader, there is little reason to doubt that demand for AWS Marketplace apps will continue to grow, making the development of apps for the platform a highly attractive option for developers as well as for potential investors and buyers with an interest in app businesses. Salesforce is the most valuable dedicated SaaS company in the world, with a recent valuation of over $10 billion. With an estimated 3.75 million users, the Customer Relationship Management (CRM) giant has grown beyond being a product into a platform in its own right. Launched in 2005, the Salesforce App Exchange is the marketplace for apps that extend SalesForce’s core functionality. As befits a business that brands itself as the Customer Success Platform, Salesforce attempts to make it easy for users with no coding or development know-how to build apps for use on the Salesforce platform with its Lightning App Builder. Salesforce also offers extensive tutorials on building Salesforce apps on its Trailhead online learning platform. For those with development experience, Salesforce offers a powerful but more technically challenging app development tool called Heroku. Heroku supports code written in Node, Ruby, Java, PHP, Python, Go, Scala, or Clojure. Package your application: The packaging process puts your application into a form where others can install the application in their organizations. More information on packaging your application. List your application. Listing enters your application into the AppExchange, where others can discover it. Your listing can include marketing materials as well as the ability to take a ‘test drive’ of your application. More information on preparing a listing for your application. Certify your application. To ensure the safety of your application for others, you will have to have the Application Review Board certify your application before you can resell it on AppExchange. More information on certification. The AppExchange offers two pricing models for app purchases once your app is listed: a one-time license fee, or recurring monthly or annual subscription payments. As a developer, you can set your own price for the app. There are some upfront costs you should be aware of. Salesforce charges $2,700 as a security review fee for paid apps (it’s waived if your app is free), and there is also a $150 annual listing fee. SalesForce also takes a 15% commission on payments made through AppExchange Checkout, but there are no revenue share minimums or additional setup or credit card processing fees. If you’ve got an idea for an app that will solve a problem for some of Salesforce’s 3.75 million users, building an app to sell on the AppExchange is an option well worth exploring. Since launching in 2014, Amazon’s intelligent virtual assistant Alexa has been a resounding success, especially when paired with the Echo smart speaker system. It is estimated that Amazon has sold 50 million Alexa-powered devices in just under four years. And Alexa isn’t only for Echo and other Amazon-manufactured devices. Third-party manufacturers have been encouraged by Amazon to build devices that incorporate Alexa, including audio industry heavyweights Bose and Sonos. App developers have also been actively courted by Amazon to create apps for the Alexa platform. Rather than being called an app, software developed specifically for Alexa is called a “Skill.” Alexa Skills have their own dedicated Amazon marketplace. According to recent estimates and statistics, Amazon Alexa now has 50,000 Skills available worldwide, works with 20,000 different devices, and is used by 3,500 brands. One reason why the Alexa Skill ecosystem is thriving may be related to the lengthy steps Amazon has taken to make it easy for developers to build Skills. The Alexa Skills Kit offers extensive tutorials and step-by-step guides for developers. With Alexa Skills Blueprints they’ve even developed an interface to allow Alexa users to build their own Skills without writing a single line of code. Skills built with Blueprints are intended primarily for personal use. If you’re looking to create a monetizable Skill, expect to have to write custom code that integrates with the Skills API. TechRepublic recently published a terrific guide on how to become an Alexa Skills developer. Coupled with perhaps the best-resourced development platform of any of the app marketplaces, the barrier to entry for creating Alexa Skills can be considered quite low compared to other platforms. While Alexa is still thought of being primarily for home use—and surveys bear this out, showing “listening to music streaming services” and “checking the weather,” as being two of the most commonly used features of smart speakers like Echo and Echo Dot—there is a growing market in Alexa Skills for business. Salesforce, for example, offers an extensive tutorial on building a private Alexa Skill that integrates with Salesforce. Once again, TechRepublic provides a helpful resource on Alexa For Business. Both one-off payments and subscriptions are supported for ISP. Skill owners can set their own pricing and Amazon handles billing directly through the Alexa interface. Currently, ISP is only available in the US. Sell Physical Goods and Services: Payment integration with Amazon Pay for Alexa Skills makes it easy to sell physical goods and services through your Skill. This monetization option is likely more appealing to business owners looking to add an additional revenue stream. Examples given by Amazon include event tickets, transportation, flower delivery, and more. The Alexa Developer Rewards program is somewhat opaque in regards to how developers are paid for eligible Skills. There are certainly success stories, such as one young developer who is making $10,000 per month. Additionally, developers have no way of knowing if their Skill has qualified for ADR until after they have developed and launched it in the marketplace. If your Skill is “among the top performing custom Skills based on customer engagement,” it may be eligible for ADR. Given Amazon’s track record, there’s little doubt that they’ll succeed and that the Alexa platform will only grow more attractive and lucrative for both businesses and developers. A relative newcomer to the app marketplace ecosystem, Microsoft AppSource is aimed primarily at enterprise-level business customers looking for apps to extend the functionality of Microsoft products such as Office 365, Power BI, and Dynamics. In addition, there is an Azure Marketplace for apps dedicated to Microsoft’s cloud computing offering, which is second in market share only to AWS. In order to submit an app to either Microsoft marketplace, developers must register as either as an individual ($19) or a business ($99). This is a one-time registration fee. The Marketplace is the launch pad for joint go-to-market activities with Microsoft. Of particular interest to many developers: there are no fees for participating in the Marketplace. Once an app meets Microsoft’s Marketplace guidelines, the next step is to submit it. At which point, a Microsoft representative will contact you regarding how to proceed further. InfoWorld offers some high-level technical advice on developing apps for the Azure MarketPlace. For a more in-depth exploration, watch this keynote presentation from Microsoft Build 2018. Developing apps to sell in Microsoft AppSource and the Azure Marketplace has a reputation as being more difficult than some of the other platforms we’ve explored here. According to a 2018 study, Amazon Web Services (AWS) was named the most developer-friendly platform. However, Azure’s growing market share and the perennial popularity of Microsoft’s other software offerings mean that Microsoft AppSource and Azure Marketplace are worth a closer look. The narrow focus of a particular marketplace means that almost every single one of its users will be a potential customer. A big advantage of choosing to develop a marketplace app is that many users will regularly browse a marketplace looking for interesting apps with which to enhance their business. This means that your app will likely be stumbled upon by viewers who might never have gone looking for it, but who might find it useful nonetheless. If your app has a clear description of its value proposition, is competitively priced, and has positive reviews, you are more likely to pique customers’ interests. Maintain a blog on your app’s website and publish high-quality content on there frequently. Ensure that you’re basing your content decisions on well-researched keywords. Focus on converting website visitors into leads and get them into appropriate nurturing campaigns. One way to improve your customer conversion rate is by utilizing proven website optimization tools like GrooveJar. Have an active social media presence where you make a point of interacting with your followers. Make use of influencers on social media. Providing high-profile social proof is fast becoming one of the most effective methods of gaining visibility. If you’re on a marketplace that has reviews, encourage happy users to leave you reviews. 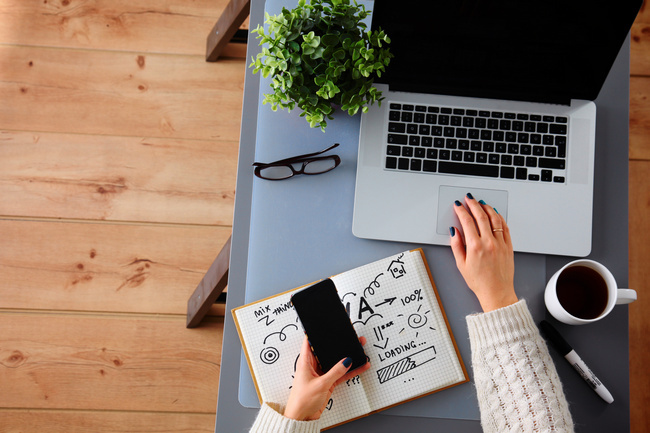 Email marketing remains the most cost-effective marketing mechanism, with most recently available numbers showing an average return of $44 for every $1 spent on a well-implemented campaign, according to CampaignMonitor. Involve an expert digital marketing agency to help you with the above. For marketplace apps, be aware that the customers’ main entry-point to your app is always going to be its page in the app store. This is a page that you have less control over than a specific landing page on your website and, by default, prominently displays your existing customers’ ratings and reviews. This obligatory social proof makes delighting new users doubly important. Customer service is critical when it comes to marketing a marketplace app since potential users are less likely to bypass a page where user ratings and reviews are displayed. When looking at generating revenue with your marketplace app, be aware that you’re operating in a smaller space than with universal or SaaS apps. Your target market is limited to users of one specific platform like Shopify or Magento, and to effectively monetize here, you’ll need to deliver value for a large enough segment of its user base. This often means outpacing any competitors while remaining applicable to as wide an audience as possible. If your app only adds value for a small percentage of such online stores, for instance, stores that only sell eyewear, you’re serving what may be too small a niche. Remember you’re not offering a product that serves all online eyewear retailers, only those who use the Shopify platform. To avoid this possibility, acknowledge that you are playing in an ecosystem with a limited audience and keep your product relevant to as many of them as possible. One benefit of monetizing within a marketplace is that it is very simple to see what your competitors are doing and to offer alternative pricing options. Even if your product doesn’t differ greatly from a popular competing product, simply operating on a different pricing model may be enough to get a foothold in that segment of the marketplace. Consider, for instance, offering a longer trial period than your competitors, or a different pricing structure. If there isn’t a competing product that offers a one time upsell for the premium version of the app, consider offering something similar to a segmented audience to gauge user response. Bear in mind, however, once you have an established pricing structure, it is difficult to make significant changes without potentially alienating existing customers. Marketplace apps are unique in that they only operate within one software environment. When developing a marketplace application, it’s important to recognize that many of your potential customers are going to be small online retailers without the technical know-how to integrate your product with theirs. Ease of installation is a big factor. Users look for apps that are simple to deploy and it is correspondingly one of the main factors they rate an application on. If your product is easy to set up, your users are likely to give you recognition for it in their reviews. There are also certain marketplace-specific technical stipulations which are critical to consider before choosing the marketplace for which you want to build your app. For Shopify, your application’s source code isn’t deployed onto the client’s server and will be accessed via an API. A WordPress plugin’s PHP code must be as readable by a human as possible. The use of unclear naming conventions and code obfuscation is not permitted. These stipulations (and many others) have significant implications for your approach to development, as will the technical specifications made by the various marketplaces. It is impossible to overstate the importance of doing due diligence on these requirements before making any investment into an app. Marketplace apps are an excellent option for entrepreneurs who are looking to try their hand at building an app business. Targeting users is much more approachable than with a traditional business model, and the constraints of the platforms mean it is easier to ideate a commercially viable product. Ensuring the use of digital marketing best practices, as well as staying on top of trends, pain points and competitors, are all key to maintaining a successful marketplace app business. Next, we will look at developer and market considerations for universal apps. Universal applications are installed locally on a user’s computer or digital device. They are used to enable a wide range of functions and cover a wide spectrum of niches. This category excludes cloud-hosted apps, which fall into either the marketplace and SaaS categories. It also excludes apps that are installed on the user’s computer or device but require a recurring payment and active internet connection to access. A leader in the communications industry, Skype allows users to communicate with each other via voice, video, and text across multiple platforms. Users download and install the communications client onto several of their digital devices. The app is free to use, and is monetized through advanced communication features like making calls to landlines or mobile numbers. This enormously popular mobile app allows users to identify the name of a song and the artist that performs it by simply letting their device “hear” it. Shazam is free to use and generates revenue predominantly through referral fees and in-app advertising. This digital audio workstation (DAW) is a complete professional music production environment that users can download and install on their workstations for a once-off license fee. The app differentiates itself in a cutthroat marketplace by being one of the most competitively priced, high performing options among their rivals. The sky’s the limit when it comes to conceptualizing a universal app. So wide is the spectrum of user needs and so big is the market that this space is ripe for innovation.There is also plenty of room for competition against established applications. Given this scope, there is always a danger of over-thinking your product and becoming stuck in design and analysis. 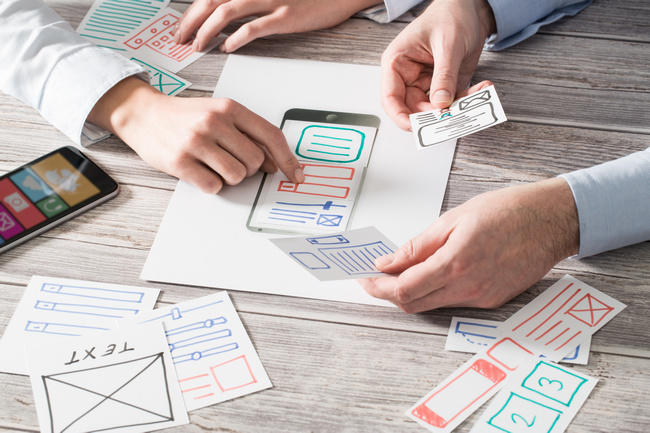 It‘s also important to understand that universal apps offer unprecedented opportunity for your product to evolve into new directions as other opportunities and user needs become evident after launching. During the conceptualization phase, be comfortable with letting go of certain long-term concerns and focus on creating a basic product for which there is a commercial need. For universal apps, and to some extent SaaS apps, it is more important to design and deploy a minimum viable product (MVP) into the market as soon as possible, than it is to have a perfect understanding of your long-term strategy and all the features that will enable it. The sooner you can get testing and strategizing based on the results, the better. During the conceptualization phase, be comfortable with letting go of certain long-term concerns and focus on creating a basic product for which there is a commercial need. For instance, your planned Windows app will likely one day benefit from also having a mobile version. Having access to a user’s GPS location opens up a range of new features which can add significant value for your customers. While it may be tempting to design and build both instances of the app as part of your first release, consider the advantages of focusing your resources on getting the Windows MVP out sooner and gauging your customers’ needs and response before investing in the mobile app. After seeing your users’ engagement with the MVP, it may become obvious that your priorities should be to build out additional features for it, rather than creating a second instance. Always keep in mind that as the product grows and you interact with your users, there will be opportunity to pivot into more profitable strategic and functional directions. Universal apps benefit from standard digital marketing best practices discussed in the Marketplace Apps section above. The world of digital marketing is always evolving. When your product has an extremely broad appeal it’s imperative to get the basics right. Stay on top of digital marketing trends or employ the services of a specialist marketing agency to provide direction, content creation and support. The involvement of an expert becomes doubly important when it comes to paid advertising like your Google Adwords campaigns. When dealing with such a large market, you need to get extremely precise in your marketing efforts and doing so effectively is dependent on experience and insight into a very challenging process. While subscription-based pricing models are increasingly popular and can, strictly speaking, be applied to universal apps, we’ll save that discussion for the SaaS Apps section below. The ideal pricing model for your universal app is going to depend very much on your target market. Having a crystal clear view of who you are trying to sell to not only drives the features that you build in your MVP but also how you are going to monetize your product. This is the traditional monetization technique for software applications. Users make a one-off payment in exchange for permission to install and use the application on their computer or mobile device. The benefit of this model is that the app’s features are closely integrated into one holistic environment. There’s no need to build complex permission functionality that prevents certain users from accessing features they have not paid for. The downside of this model is that it’s extremely susceptible to piracy. The freemium pricing model allows users access to the core functionality of the app without charge but requires payment for the use of premium features or extended functionality that adds additional value to the product. The benefit of this model is that it has a powerful inbuilt marketing mechanism. Effectively offering your product for free encourages adoption and generates a goodwill with your customer base. It also means that each of your free users can be regarded as a lead you can slowly convert by promoting your extended functions. Note that while it may seem tempting to push users towards the premium version by making the free version irritating to use, this is a worse long-term strategy, as it will severely harm your customer goodwill. This model is most effective in the gaming industry and involves loyal users paying for virtual products that will either enhance their gaming experience aesthetically or give them an advantage over their opponents. This is a relatively new concept that has nonetheless been applied to great effect, but its application in the larger business to consumer (B2C) or business to business (B2B) space has yet to be explored. Certain mobile apps will have a user interface (UI) that accommodates displaying third-party content like advertisements. If your app requires users to be online while using it, and it has a very broad appeal (something that will be helped by the fact that users don’t pay for it) it may be a good idea to monetize your in-app traffic. There are many ad-servers that will enable you to display adverts inside your app, allowing you to monetize your in-app “traffic” with a standard cost-per-impression (CPM) campaign. The most popular service for enabling this monetization strategy is Google Admob. The combination of your target market’s needs and your competition’s prices are important to bear in mind when deliberating over the actual price amount of your app. If your product aims to be an alternative to a prestige product with an unassailable position in the marketplace (think Microsoft Excel), your customers are going to be people who will not be willing to pay a premium and you’re better off offering your product at an extremely low cost. In this case, use the competitors’ price as a benchmark. However, if you are building what you believe to be a game-changing app that offers innovative solutions in a lucrative business space, take advantage of this and charge a premium for your product. There are certain markets where cost is associated with quality and if your product justifies this cost, don’t sell yourself short. While not as restrictive as marketplace apps, your technical considerations for a universal app are still going to be dependent on the operating system of the devices you have in mind. Different operating systems have different requirements in terms of code compatibility, making it essential to ensure that your technical team is fluent in the “language” of your chosen platforms. Another aspect to take into consideration is the impact of platform updates. When a particular operating system releases a new version, the onus is on the software company themselves to ensure that their product can function in the new version of the operating system (OS). Examples of popular operating systems include MacOS, Windows, iOS, Android, Chrome OS, and Linux. It is important to be aware of update schedules and plan appropriately for the analysis and development work required to get your apps working on new versions. Having a firm grasp on the lead time operating system vendors typically provide before implementing updates, and preparing accordingly, could be the difference between having your app up and running or not. The sky is the limit for entrepreneurs who want to build a universal app business. As long as you have identified a common pain point and found a way to deliver value to customers in this space, your only constraints are the technical know-how and the marketing implementation. Deciding on a function, choosing the OS, and releasing an MVP will be the beginning of the project; from there it’s important to focus on digital marketing strategy, split testing what pricing models and ad strategies work best for your audience, and streamlining internal processes. These are what will ultimately make your app valuable. Next, let’s look at what it takes to build a successful SaaS app. The majority of SaaS applications are, essentially, websites that offer functionality useful enough that users will pay subscription fees for access, typically in a business or productivity setting. However, many applications locally installed on a user’s computer have begun to adopt this payment and access model, meaning not all SaaS apps are hosted in the cloud anymore. Arguably the most well-known SaaS company in the world, this customer relationship management (CRM) application was instrumental in the creation of the SaaS industry. This cloud-based electronic signature and transaction management platform for digital documents enables users to generate, access, sign and send documents from anywhere with Internet access. The world’s leading suite of image and video editing applications have adopted the SaaS payment model even though the majority of their software products still need to be deployed locally onto the user’s computer or mobile device. As with universal apps, SaaS applications can meet an incredibly broad range of functional demands. However, since they are typically cloud-based, accessed via a web browser and not all require the installation of third-party software, they offer significant value when used as tools for collaboration, the sharing of data, and to enable mobility. Keep these strengths in mind when thinking about the product you want to build. It’s best to build functionality whose value proposition takes advantage of the “always on, always accessible” nature of SaaS software. Productivity SaaS apps are a great example of this: their value to the consumer typically relates to being able to always have access to projects, freeing users from having to keep everything in their heads and/or in disorganized locations. Recently, SaaS has become an increasingly popular choice for applications that have a B2B focus. Traditionally, software used by organizations, especially enterprise software that covers an extremely broad range of integrated business functions, needed to be installed on servers housed on the customer’s premises. This resulted in enormous overheads for both the customer and vendor and was a significant barrier to entry for new entrepreneurs. What does this mean for you as you think about what type of app you want to build? It means you get to be seriously creative. You are not facing the practical and financial constraints that ambitious entrepreneurs faced 12 years ago, so don’t be intimidated by the perceived scale/variable costs of a concept. Since the initial adoption of the SaaS product is typically signing up for a free trial period (or perhaps subscribing to the lowest price tier) the product itself forms part of the marketing effort. While this opportunity can certainly be found in other app types, it is most common within SaaS apps. Email campaigns, finding ways to go above and beyond with customer service, observing exactly how customers use the application and leveraging that information into an upsell are the most common ways to keep targeting existing users. Remember, it’s five times more expensive to acquire a new customer than to keep an existing one. Despite the focus on continuously and actively marketing your product, it’s important to note that a good SaaS product will often upsell itself. If you continue to build value for your existing customer base, create innovative features that you know address their needs, and consistently delight them with excellent customer service, they will move up to the more expensive subscription tiers on their own. 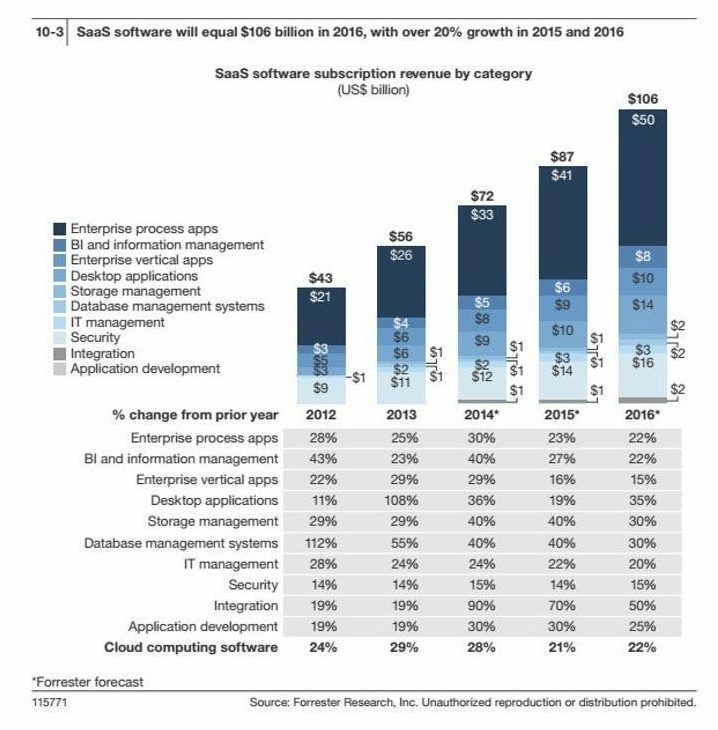 By definition, SaaS applications are monetized on a subscription basis, with customers typically paying a monthly sum based on which “tier” of membership they have opted for. Each tier usually allows the customer various benefits, with the number of benefits increasing as they move up the tier ladder. It’s not uncommon for a SaaS product to offer as many as four or five price points, but this is very much dependent on the product itself and the target market’s needs. The structure of your price points is a critical part of achieving success in the SaaS industry. It is a very well covered topic and one that we highly recommend you research thoroughly when deciding how to price your SaaS app, taking the specifics of your app into consideration. Tools like Price Intelligently will audit your pricing strategy to identify points that can be optimized for effective growth. One of the main goals when choosing your price points is to make your product’s “payback period” as short as possible. This is especially critical for a young, bootstrapped SaaS company that is very dependent on cash flow. Payback period refers to the amount of time it takes for you to reclaim the cost of acquiring a particular customer. The marketing and sales overhead you spend in acquiring, nurturing and converting a lead can be significant, especially if you play in the enterprise space. If your pricing model is such that you are not recovering the customer acquisition cost (CAC) within a reasonable amount of time, your company’s cash flow is at serious risk. A CAC to LTV ratio of 3:1 is generally considered acceptable in the industry. With the advancement of web development technology, the gap between what a user can do in their browser and what needs to be installed on their local system is rapidly diminishing. This means that the major technical considerations when developing your SaaS app are not on what functionality your software is capable of, but larger issues like stability and scalability. Without a doubt, the most important technical consideration when building a SaaS application is to ensure that there is never any unexpected downtime. Outside of short periods of maintenance, your customers must always have flawless, uninterrupted access to their systems. Unexpectedly losing access to what they are paying for even a matter of minutes is a reputational hit that will take a lot of PR to recover from. If it happens regularly, your product is unlikely to survive. SaaS applications are an excellent option for the entrepreneur looking to explore a functionality-centered business. Most commonly, SaaS apps are created to deliver a specific function to improve efficiency in users’ everyday tasks, but can be created in various niches. The expansion opportunities with SaaS apps as part of a larger service/business, too, should be considered when exploring the future of the app. As long as the core competency of the service is sound, there will always be avenues to take towards expanding into different channels. Next, we will talk about how to value an app business for sale. Earlier in this piece, we discussed the importance of considering the eventual value of your app when building the business that supports it. Indeed, it is crucial to make sure the operational considerations that make an app business valuable are taken care of as this will contribute to the larger success of the business. But aside from building and sustaining a commercially viable business, what exactly are the variables that contribute to an app business’ value? How does one value an app business? Having a clear view of the valuation process and understanding the various drivers affecting what the market is willing to pay is paramount if you want to base business decisions on creating value. At FE International, we have sold over 500 businesses with a combined value of hundreds of millions of dollars. During this time we have perfected what has grown to be the online M&A industry’s most sophisticated and reliable method of establishing a business’ value. The concept behind our approach is market leading in its use of real data and is fundamentally based on establishing a figure accurately representing the business’ annual revenue, EBITDA or SDE (depending on the size of the business) and then multiplying that by a number determined by hundreds of variables and comparable businesses sold. However, it is in the expert research and analysis involved in establishing these two variables that our valuation process shows its true worth. Our experience in this field allows us to consider each business holistically – as a unique entity – when performing our valuation of an app. Let’s take an in-depth look at how FE International performs a valuation on an app business. We have written extensively about SaaS valuations before, but this covers a wider range of business models. There are many ways that a business’ annual earnings can be calculated and expressed. At FE International we have found that the two that result in the most accurate valuations for app businesses are Seller’s Discretionary Earnings (SDE) and Earnings Before Interest, Taxes, Depreciation, and Amortization (EBITDA). SDE is the amount remaining once the total cost of all operating expenses has been deducted from gross income and the salary taken by the business owner added back. This formula reflects the fact that most small businesses are owner-operated and, thus, owner-reliant. An owner will often pay themselves a salary and purchase personal items through the business for tax reasons. All of these expenses are acceptable add-backs when determining the true underlying profit potential of a business. Other add backs can cover one-time expenses, like the cost of designing the company’s website. This is an expense that is not relevant when calculating the profitability and the business value should not be compromised by a conditional expense that bears no ongoing relevance to its earnings. Valuation of companies in excess of $5 million is more complex. Typically, the benchmark of Earnings Before Interest, Taxes, Depreciation, and Amortization (EBITDA) is applied. In acquisitions of companies with over $5 million in value, EBITDA multiples are used almost exclusively, with revenue multiples also used in larger, more strategic sales. Once either the SDE or EBITDA value is calculated, it’s time to move onto the most nuanced and time-intensive aspect of the valuation process. To calculate the asking price the app will be taken to market for and what the owner should expect as a selling price, the earnings baseline figure is multiplied by a factor that is tied to the business’ growth potential, the risks faced by the new owners, and other factors. This factor is referred to as the valuation multiple and calculating it is dependent on an expert analysis of a very wide spectrum of aspects surrounding the app and business. What follows is an in-depth description of the valuation drivers that affect the value of apps. In order to maximize the value of your app, it is essential that you implement tracking measures, documentation, and analytics tools from day one. A robust valuation of an app will always be based on verifiable data rather than simply the owner’s word, making the provision of evidence crucial to this process. If you are uncertain about the mechanisms that can be used to create this proof, get in touch with a mergers and acquisitions advisor at FE International for guidance. The following factors are taken into consideration when valuing all three app types. Following this section, we will cover metrics specific to marketplace, universal and SaaS app valuations. Buyers are attracted to sustainability and stability, and nothing gives better evidence of this than a financial track record reflecting consistent profits over a number of years. Your app may have shown remarkable growth in the six months since being launched, but there are several intangible risks that it still needs to prove its ability to resist before a buyer would consider it a solid investment. While there is a market for younger apps, consider going to market only once you have proven that your app has the necessary longevity. 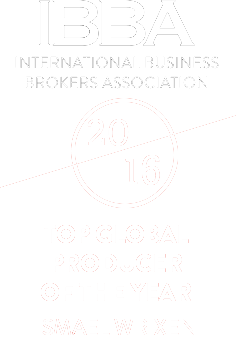 One year is the absolute minimum, with two being preferred by most buyers. A business starts to enter territory of a premium valuation once it is three years older or more (and still showing growth). While this may be difficult to measure for certain apps (in which case other factors will be taken into consideration), it remains an important metric that illustrates user engagement with your product. Typically, SaaS, marketplace, and mobile apps require their users to be connected to the internet in order to use, which means your users’ behavior can be measured to a very granular level. This data— illustrating the number of customers who use your app’s functionality in comparison to those who simply have it installed but don’t use it—is critical in measuring the value your product brings to its target market. The analytics tool you use to track this will vary depending on your app type, but you will want to be sure that you are tracking such metrics as active users and churn so you can constantly adjust your strategy. Keeping solid financial records is a necessity for any business. The more detailed,verifiable and current, the better. Thanks to accounting software such as Quickbooks, much of the hard work of traditional bookkeeping has been eliminated. Quickbooks seamlessly integrates with your bank accounts and payment processors, enabling you to get up-to-the-minute financials almost effortlessly. Potential buyers value data that illustrates sustainable growth in customer acquisition and conversion. Monitor and track these information areas using industry-standard tools (like Baremetrics) and techniques from the day you launch your product. Use Google Analytics to measure the your business’ increased efficiency at acquiring visitors and converting them into customers. Getting granular here will add additional value, so be sure to build reports on how your customer acquisition is improving for both organic and paid sources. Google Analytics offers a myriad of ways to report on visitor acquisition and behavior, with users having the ability to build custom reports. Social proof is emerging as one of the top marketing tools that an app owner can implement at a relatively low cost in order to drive downloads and sales. Positive reviews from peers and social media influencers are beginning to carry significantly more weight than messaging generated by the brand itself. This trend is being intelligently leveraged by the owners of all three app types, with marketplace and mobile app stores and distribution platforms building reviews and rating functionality into their core product. Many universal and SaaS apps are distributed via owner-operated websites, meaning that the onus is on them to build this functionality. However, there are many innovative mechanisms at their disposal for doing this, and the benefits speak for themselves. Buying a product comprised of as many moving parts as a piece of software could represent a significant risk for a potential buyer. 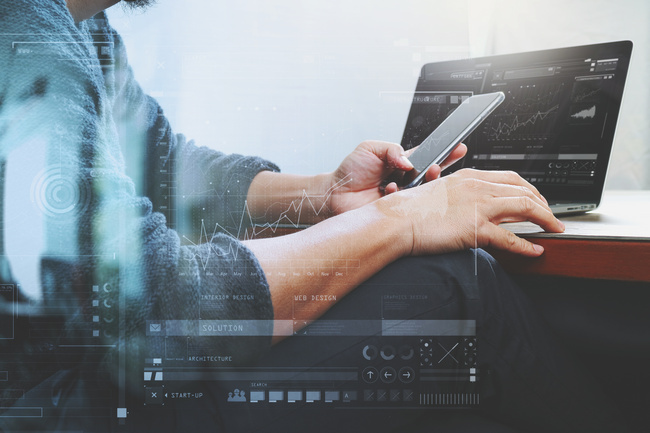 An app’s dependence on the technology that drives it means that an investor is certain to do a thorough analysis of its code, data architecture, and supporting documentation prior to making an offer. If your focus is on building maximum value, this is one of the most obvious places to create it. Value competence over talent or make a concerted effort to find a good balance between the two when recruiting your technical team. Ensure that contemporary coding best practice is followed and that developers are documenting their work appropriately. This is an area where you do not want to compromise; the cost involved in rewriting hundreds of thousands of lines of code eclipses the cost of doing it right–and documenting it–the first time. Even the most passive businesses don’t run on their own steam. Potential buyers will need to be aware of the processes involved in operating your app and business. With that in mind, it is critical that every single operational activity and process is thoroughly documented using industry-standard techniques. There are some useful software applications for writing standard operating procedures (SOPs) quickly like SweetProcess. Again, as with nearly all of the valuation drivers discussed in this piece, implementing this will not only result in a higher valuation for your app but also translate into immediate operational benefits for your business. One aspect of a business that raises an immediate red flag for a potential buyer is when it is overly reliant on its current owner’s continued involvement. A businesses’ transferability is something that all buyers will take into consideration, and many factors come into play when doing this investigation. Does the owner have niche knowledge or skills essential for the business to operate? Can key strategic relationships between partners, suppliers or customers be transferred to the new owners? Is the owner’s face or name a crucial marketing or branding asset? The owner’s involvement is also measured in the amount of time that he/she is involved in the day-to-day running of the business. A business that generates passive income is valued highly, with the ideal number of hours the owner spends managing operations being 5-10 per week. A potential buyer will try to identify a trend in your earnings while you will need to provide justification for any anomalies that might be reflected in your financial records. Were there two months in the last year where you earned significantly less than the others? What was the reason for this? Can you provide evidence of the reason? The value of a company is proportionate to the stability it offers its potential buyer and any unexplained deviation in a financial trend needs to come with an explanation. 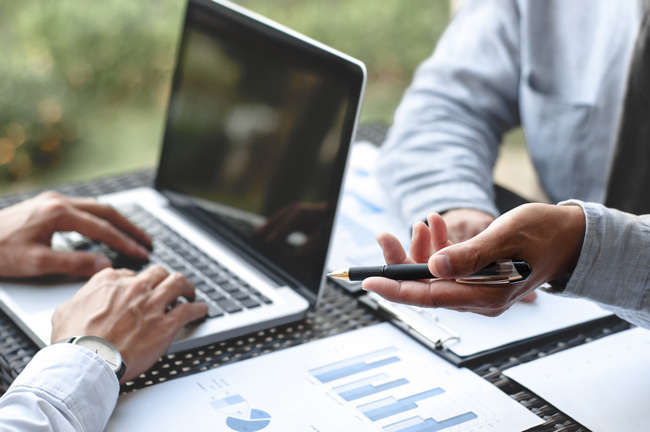 While financial records are not always the most important aspect of a valuation, they play a significant role in influencing the asking price. While all businesses face this challenge, it is a risk that is especially prominent in the app development industry. Having your revenue dependent on a single product, niche, or monetization method means your business is vulnerable to unexpected change. The emergence of a new competitor who has you outpriced is a good example of such a risk, as is a change in technology that renders your product obsolete, or a sudden shift in consumer behavior. The best way of mitigating this risk is to spread your earnings across multiple streams, to extend your product’s features, or to create additional apps in an integrated suite of products. However, these are not undertakings you should consider until you have the financial reserves and operational space to absorb the additional overheads. Attempting to expand before your resources can allow it is a far bigger and more immediate risk to you than having overly-concentrated earnings. Getting visitors to your app’s website and/or online distribution platform is one of the cornerstones of your product’s growth and financial stability. What percentage of your website’s traffic comes from web searches and is, therefore, susceptible to changes in search engine algorithms? A disproportionate concentration of traffic in this area could represent a major risk and will affect your valuation negatively. What are the short and long-term trends in your website’s traffic? Are you showing sufficient growth in this area? Has your website been affected by any changes to the major search engines’ algorithms? What was the impact on your traffic? As with the financial factors, potential buyers want to see stability in traffic trends; showing sustainable growth in your ability to obtain and convert visitors is an enormous benefit to your value. Aside from the owner’s involvement in running the business, what other limitations or constraints does the business face? The business’ reliance on a key technical resource may represent a significant risk for potential new owners. This is especially true if the application was built using proprietary technology. While this consideration may not play a critical role when making decisions on a technical platform, language or database, it is important to bear in mind nonetheless. Not only will using more accessible tech limit your own dependence on a potentially scarce resource, it will also have an effect on your risk profile and value. The landscape in which your app plays is another “peripheral” but no less important factor that a savvy buyer will thoroughly assess when valuing your app. How competitive is the niche? Are there barriers to entry that your app has overcome? Establishing yourself in a competitive market where your position is difficult to displace will add quite a bit of value to your app. What are recent trends in your niche? Are there technological innovations or shifts in consumer behavior making it more or less relevant? What is the room for growth within the niche? Do you have a growth ceiling because a particular competitor has a monopoly? The cost of acquiring a new customer speaks directly to several issues that have a profound effect on your app’s value. Essentially, the amount of money that your company spends to acquire a new customer needs to be reasonable when compared to the amount of money that a customer represents to you, also referred to as customer lifetime value (CLTV). A healthy CAC value indicates several things, but most notably is that it illustrates the company has streamlined marketing and sales processes. The marketing funnel has become an increasingly complex space as advancement in technology is allowing more and more sophisticated mechanisms for finding and converting leads. A company that has found the most cost-effective way to leverage these integrated technologies and processes is one that potential buyers will immediately flag as an attractive prospect. Serious buyers will take any legal limitations your app may face into consideration, as this could represent a risk when ownership is transferred. Are there any licensing requirements in order for the app to operate sustainably? Does the app infringe on any trademarks? Does the app have any intellectual property, and is it adequately protected? This is the primary metric that measures the performance of a marketplace application. Benchmarks are different for various niches or pricing models, but if the number of downloads is lower than expected, your app may be exhibiting issues with marketing or user experience that will compromise its value. To address these issues, start off by looking at your customer journey and where they may be dropping off. Your app isn’t well-conceptualized and doesn’t offer sufficient value. The content on your page in the app store is poorly presented. Negative feedback from existing customers could be damaging your reputation. If you are converting a large percentage of your visitors into downloads, but the number of downloads is still too low, you need to work on your brand’s visibility and redouble your marketing efforts. This refers to the number of merchants who leave the app before actually using it. A high abandonment rate indicates problems with the onboarding process and can be addressed by making changes to the user experience, providing users with more effective support or implementing better training processes. Business owners opting for the traditional method of distributing and accessing applications have always faced one of the biggest risks in the software industry – illegal duplication and use of their product. While most software companies are turning to the SaaS or cloud-based models to overcome this common threat, certain applications can’t function in these environments or companies don’t have the resources to redevelop their product in such a way. If piracy has been a significant issue for your application it is an indication that there may be insufficient security measures to prevent it from happening. The subsequent impact on revenue can severely compromise your app’s value. While bootstrapped SaaS businesses are often advised to sell discounted annual or lifetime subscriptions to their customers to assist in cash flow initially, an unhealthy bias towards this revenue stream could negatively affect a valuation. The reason for this is that monthly revenue is more predictable and a greater indicator of stability for potential buyers. And while having cash reserves in the bank does reduce risk somewhat, monthly recurring revenue is a more valuable asset for a SaaS company. Consider that a buyer purchasing the business right after several annual subscriptions have been sold will inherit customer maintenance costs of those users, so an inflated cash reserve from the sale of multiple annual subscriptions will not increase a valuation. It is therefore inadvisable to push for these ahead of a sale. Your app should ideally maintain a monthly to yearly subscription ratio of 4:1. While many SaaS companies put a lot of stock in their Customer Churn (the percentage of their customer base that they lose every month), there is a more detailed metric that carries equally significant meaning which is regularly overlooked: Net Revenue Churn. While customer churn is an essential growth-metric for a subscription-based business, it does not reflect the financial implications of the customer loss. Consider the scenario where all customers lost were subscribed to the cheapest subscription package. If this was the case, losing these customers may have a relatively less significant impact on your valuation since you are retaining the customers that represent more financial value. SaaS companies should work towards achieving a net negative revenue churn percentage. One of the most effective ways to do this is to continuously upsell your existing customers to more expensive subscription packages and to ensure that you are constantly building value for customers at these higher price points. After pouring years of work into building your app into a stable, profitable business that is an attractive investment opportunity for prospective buyers, it is essential that you sell it for the highest possible price. So, when you have completed your exit strategy and the time comes to take your app to the market, there is one important decision that you need to make: How are you going to sell it? There are several options available to the app owner in this regard. One of the biggest risks that an app owner may face when selling their product is interacting with a buyer who is not serious about buying. These speculative offers can eat up months of your time without any positive outcome. In some cases, these buyers also represent a security risk, with certain “investors” engaging with sellers purely to gain access to their business-sensitive documentation as part of their due diligence. A good M&A advisor will have access to a list of fully-vetted buyers ready to be informed of the arrival of a new prospect. Selling an app is a complex, potentially frustrating experience, especially for a first-time seller attempting to do it alone. A reputable advisor will direct the sales process from start to finish while the seller simply provides information as it is requested. Typically, the services offered are negotiation, due diligence, drafting of contracts alongside any other legal or regulatory matters, and finally closing the deal. The M&A advisor’s core service, in a nutshell, is to extract maximum value from the sale of the app, with the least amount of work required from the seller. It is not only buyers who are subject to strict vetting requirements from a reputable M&A advisor. Sellers will need to provide a significant amount of information before being confirmed for representation. Any professional advisor worth working with will charge up to 15% of the final sale price as a commission. This amount is payable by the seller of the business. An auction allows you to display your app to an extremely wide audience of potential buyers within a fixed time period. The prices fetched by listings on such platforms can be quite low, with businesses valued at less than $5,000 often being sold. The primary benefit of using one of these platforms is for sellers looking to make a quick sale. The lack of curation when it comes to buyer vetting means that the app will be displayed to a large selection of potential investors, but the prices fetched by listings on these sites are typically in the 0.5x – 1.5x range. Additionally, despite also charging a listing and success fee, auction houses offer little to no support during the sale process. Essentially these are the online equivalent of classified ads for businesses. The seller prepares information advertising their app, posts the listing on the marketplace website, and waits for a response from buyers who browse through the catalog of businesses for sale. The cost involved in posting your app on a marketplace is minimal and it will be seen by a large group of potential buyers. With the most popular online business auction platforms and business marketplace, there is a commission of 15% of the sales price payable by the seller upon sale of the business. In addition, the process involved in selling an app through a marketplace could be extremely lengthy given the amount of interaction required in order to find a serious buyer willing to make a reasonable offer. App development is an exciting and growing industry. With numerous niches and trends, there are always opportunities for entrepreneurs to launch a new and successful app. From the outset, whilst building and then growing your app, keeping in mind an eventual exit is important. It is much easier to put measures in place at the start of your business than to be reactionary nearer the time of a desired sale. It also provides a solid framework for making key business decisions. When faced with multiple decisions, it is always helpful if you consider app valuation. The decisions that will help increase the value of your app are the same as those that will help your app run optimally. When deciding what application to build, how to monetize the product, or structuring the processes that support it, it is extremely helpful to bear in mind the eventual value of the business you are creating. Doing so not only puts you in a great position once you are ready to exit, it also provides a solid framework for making key business decisions. When faced with several options, it is always helpful to thoroughly research and define which course of action will ultimately result in a higher app valuation. Please contact a valuation expert at FE International for a free app valuation. This was a very comprehensive post to a question that a lot of us app developers always carry in the back of our minds. It’s good to see a reliable source say app businesses have the potential to fetch premium multiples, as there is a bunch of speculative information out there. How would you say SaaS app multiples compare to marketplace app multiples on average? Hey Seth, thanks for taking the time to comment! Glad you found it helpful, there’s certainly a lot of misinformation out there about valuation in general. There’s often a lot of grey area when it comes to what people class as “SaaS” but in general SaaS multiples beat most other business models on a consistent basis. They will usually be higher than an equivalent marketplace app due to marketplace apps having a high level of platform risk. Most SaaS apps are standalone and not necessarily reliant on a single platform/marketplace. We have seen a lot of success from sellers of marketplace apps, though, so the multiples are still very strong.